Drug prices are a major target of patient groups and Congress, although drug spending makes up only 10% of the $3.3 trillion spent on U.S. health care in a year. The prices for certain specialty drugs, such as sole-source cancer and immune therapy treatments, has led to perceptions that drug prices are egregious and pose a threat to the overall sustainability of the U.S. health care system. Further, some drug manufacturers who have indeed taken egregious price increases have created an environment where the entire industry has been painted with a broad brush. In reality, the growing cost of hospitalizations is at the heart of the crisis, representing 32.4% of national health care spend in 2016. Prescription drugs, including retail pharmacy and provider-administered drugs, make up the same share of overall health care spending that was seen in 1960. This is in part due to competition between branded drug makers in the same treatment class and the availability of low-cost generic drugs after a limited period of exclusivity for innovator products. As branded drug patents shorten and more biosimilars come to market, the pharmaceutical industry will continue to self-regulate. • Two-thirds ($323 billion) was captured by drug manufacturers in the form of net revenues. • One-third ($157 billion) was retained as gross profits in the supply chain. • Of which nearly half was captured by retail and specialty pharmacies ($73 billion) and 20% ($35 billion) by providers. • PBMs and wholesalers together captured approximately 25% ($23 billion and $18 billion, respectively). Federal health officials and the health insurance industry have been encouraging doctors to prescribe more generic drugs in the hope of saving money, but new data from the Blue Cross and Blue Shield Association shows that its insurance company members are paying out more than ever for specialty name-brand drugs. “Expensive branded prescription drugs accounted for only 17% of total prescriptions filled, but 79% of total prescription drug spending ($79.5 billion),” Blue Cross Blue Shield said in its report. While this may seem shocking on its face, we should remember that many of these products provide life-extending or life-saving benefits that have not been previously available. In addition, many of the more commonly treated therapeutic areas are treated with generic medications, resulting in high-volume usage for low-cost generics. Manufacturer drug pricing is part of the overall brand strategy. Pharmaceutical companies have a responsibility to price drugs in a manner that allows them to continue to invest in research and redeem a portion of the losses they’ve incurred for drugs that have failed, all while providing product a patient can afford to ­access. It is important to remember that the list price of a drug often has little to do with payer willingness to facilitate access to a specific therapy, particularly in the branded space. All plans have allocated medical and pharmacy budgets. Payers determine these budgets by looking at various therapeutic areas to determine how much to allocate for each individual person, referred to as the price per member per month (PMPM). If a payer has $1 billion to spend annually on rheumatoid arthritis (RA) with 10 million plan lives, the PMPM allocation for RA is $100. From a payer’s perspective, the current focus is products with exceptional PMPM growth. Going forward it is important to remember that high specialty drug list prices have nothing to do with price reasonableness, regardless of how shocking the number might be. The concern should not be who is profiting, but instead how are patients being affected. Patients generally never see the list price of a drug. Understanding how payers determine and manage pharmaceutical spend is the key to ensuring patient access. 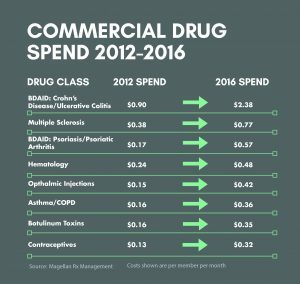 Rather than being hyper-vigilant on PBM revenue in the drug space, policy makers should begin to focus on better techniques to control some of the more meaningful drivers behind cost escalation, such as the cost of hospitalizations and drug development. Perhaps evaluating and addressing other issues like PDUFA fees, FDA timeline for approval and patent timelines might also have an impact on bending the pharmaceutical cost curve. 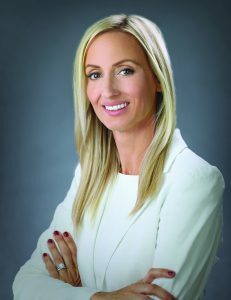 Cheryl Nagowski is senior director of federal markets at D2 ­Consulting. Where To Buy College Essays.